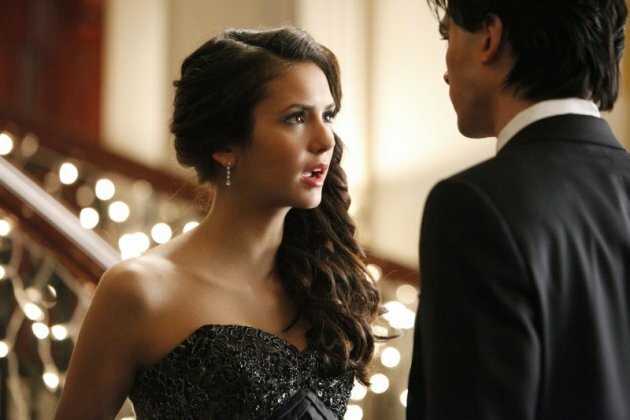 To view Elena’s look from this episode, click here. 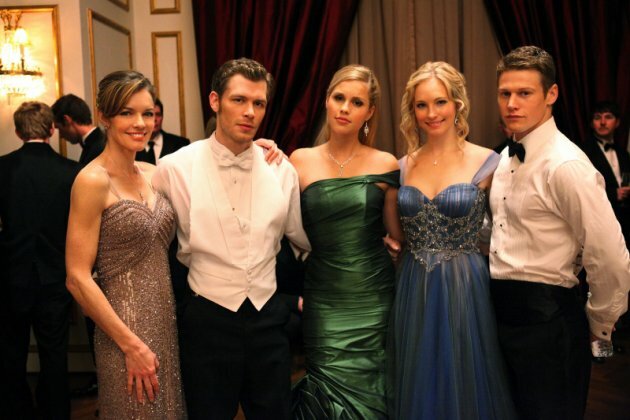 I never though of Klaus as much of a fashionista, but the dress he picked out for Caroline (aka Candice Accola) in the episode “Dangerous Liaisons”, proved me wrong. Her gown made her look like she was in her own private fairy tale with Klaus, away from all the crazy drama that was happening. Click here to view a hair tutorial that is similar to the updo Caroline wears in this episode. The main difference between the two is that Caroline has left some pieces of hair to frame her face. So when you are recreating this look, section off a few pieces of hair around your face and do not include them in your updo. To view Caroline’s look from this episode, click here. Words can not describe how gorgeous Elena Gilbert (aka Nina Dobrev) looked in this week’s episode of The Vampire Diaries, “Dangerous Liaisons”. Everything about her look — her dress, makeup, and hair — were breathtakingly beautiful when she arrived at the Mikaelsons’ housewarming party. To recreate Elena’s cascading curls, begin by creating a side part with your hair. I recommend using a 3/4 to 1 inch clipless curling iron to curl your entire head. If you have a curling iron with a clip, you can still use it as a clipless iron. Hold the curling iron upside down beside your head, and wrap a piece of hair around the barrel. You want to grab a small enough section of hair and hold it long enough, to create a very structured curl. After curling your entire head, spritz on your favourite hairspray. Grab all your hair and place it to the side opposite of the one that you parted your hair. To keep the hair on one side, bobby pin your hair close to the back of your neck. Voila, you are done!